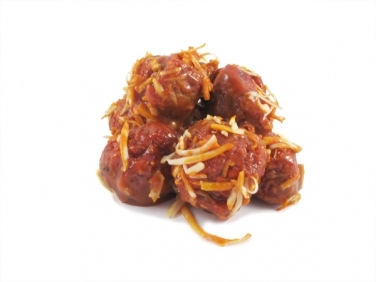 Mama's Meatballs are delicious and easy to cook, the perfect meal for all the family. Based on a classic Italian recipe these meatballs use simple quality ingredients to produce an authentic taste of a mediterranean. The meatballs themselves are made from round steak mince, seasoned with a blend of spices, served in a classic Italian tomato and herb sauce and topped with cheese. Bellisimo!